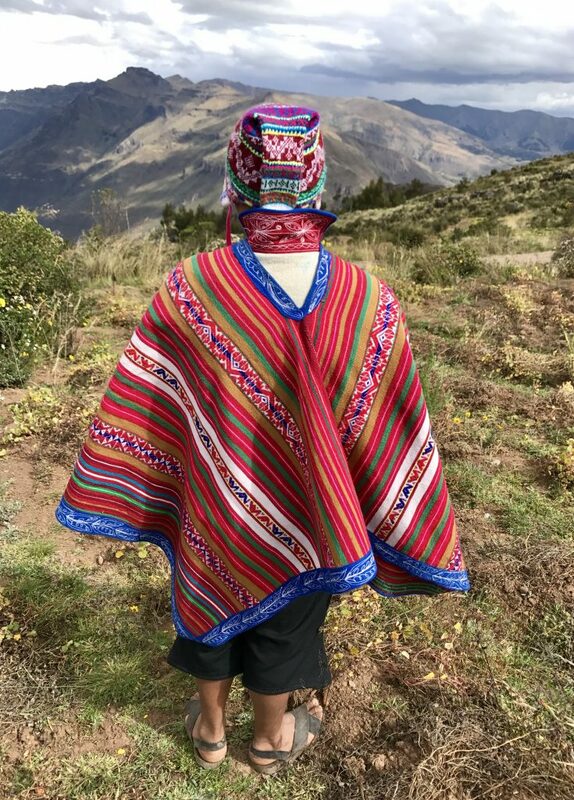 Rural Andean communities have many things in common; a notorious one is the colorfulness of their traditional garments. 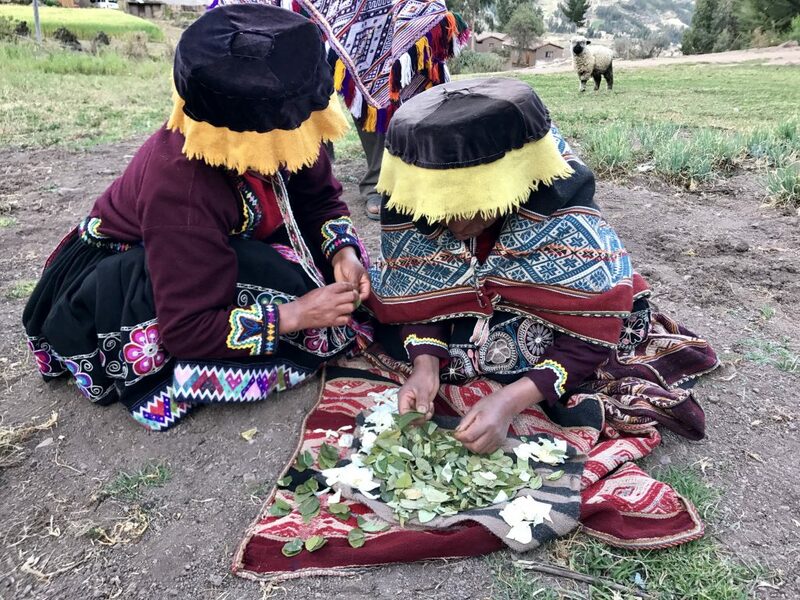 The patterns on the garments and textiles normally vary from community to community, or region to region, and traditionally these are a representation of animals, natural elements, and deities. 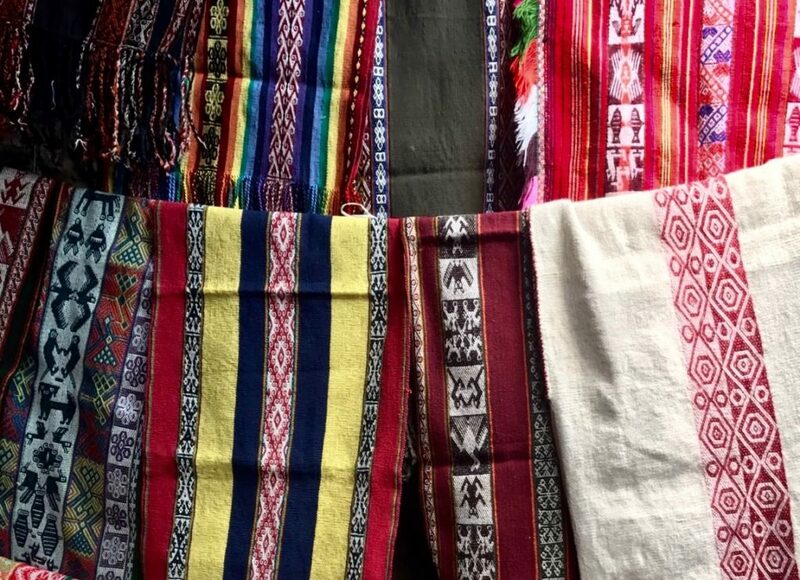 For example, the patterns weaved by Chinchero weavers are different from those in Huilloc or Choquecancha, but the common threads are the vibrant colors that can be spotted from far away, and the themes represented. 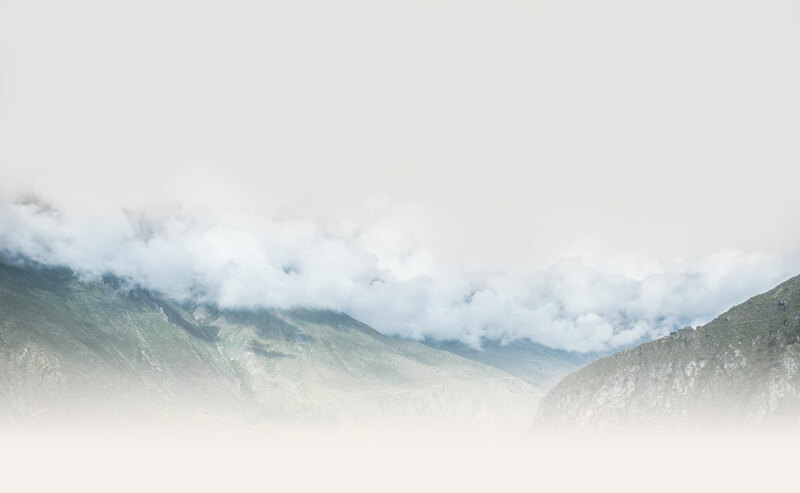 It is customary for young men and women who are single to wear even more colorful pieces of clothing. 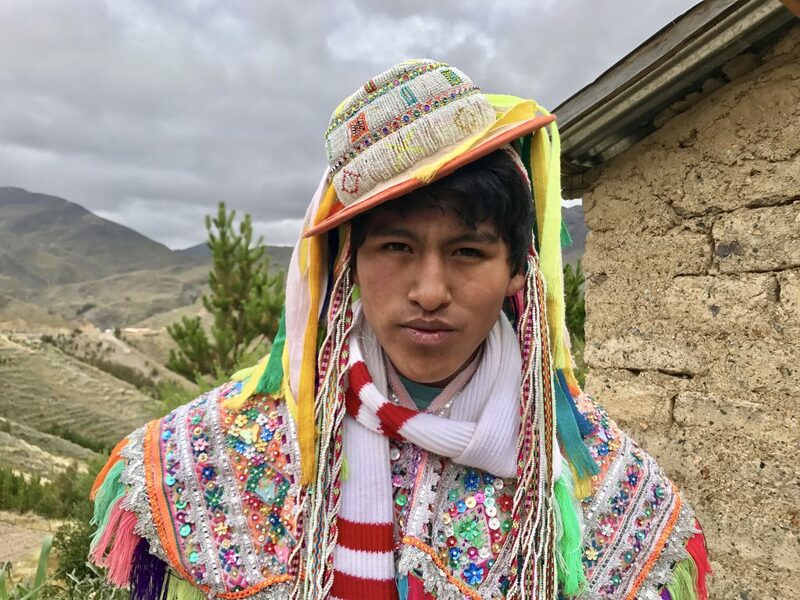 In the case of young men, the items are a poncho and a “chuyo” – a traditional hat that somewhat varies in style between communities. 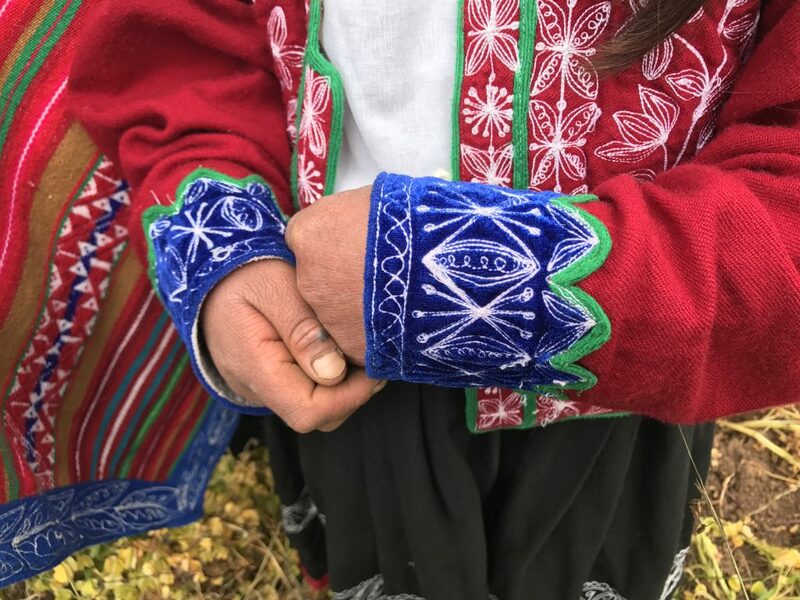 For young women, the items are a skirt and a “manta”- a multi-purpose shawl or wrap- that can even be considered utilitarian art. 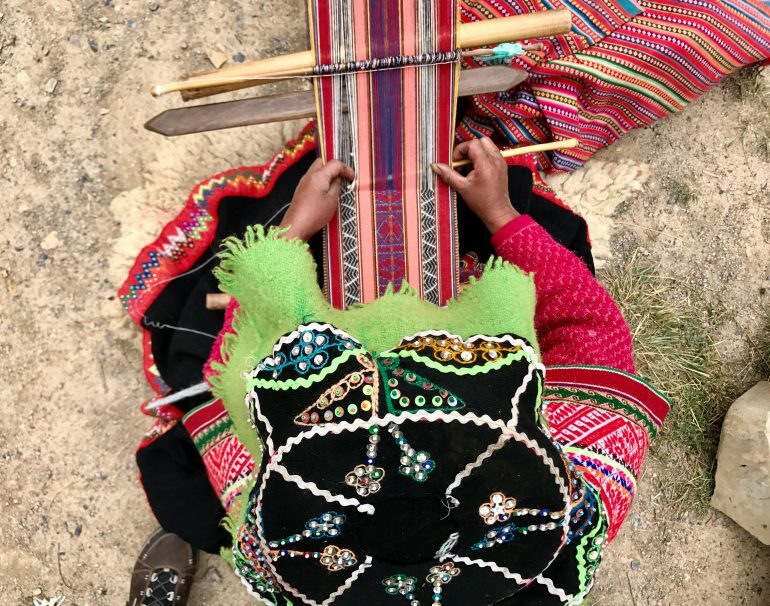 These colorful garments and accessories are weaved by the mother of the child or teen, making each a one-of-a-kind piece. On a recent visit to Ancasmarka I had the pleasure of meeting Doña Celestina and her son Adolfo. 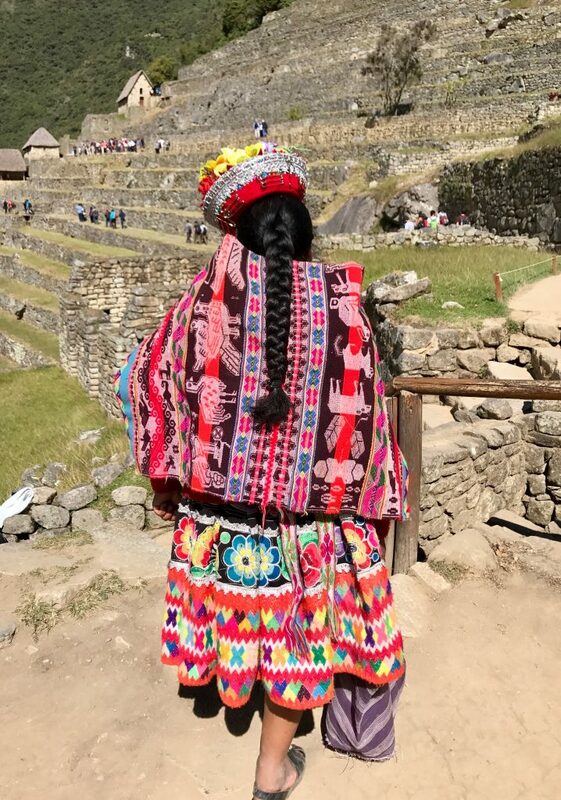 Adolfo’s poncho and chuyo are special because beyond weaving beautiful, one-of-a-kind articles of traditional clothing, his mother also used other colorful applications that make this piece a truly eye-catching one, perfect for a bachelor looking to stand out. 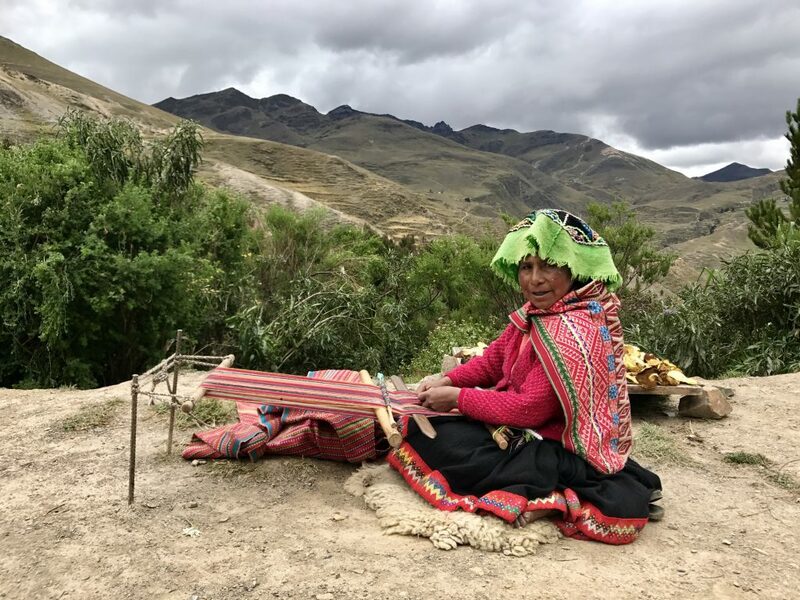 During your visit to Ancasmarka on the Sacred Valley and Lares Adventure, you will have a chance to see the works of art that women like Celestina design and weave, and you might even find Celestina herself weaving a new, all-natural, unique piece.